Is that an eagle? Not exactly… It’s an osprey also referred to as a fish eagle and sea hawk, river hawk, or fish hawk. The osprey is a large raptor, reaching more than 60 cm (24 in) in length and 180 cm (71 in) across the wings. It is brown on the upper parts and predominantly greyish on the head and underparts. 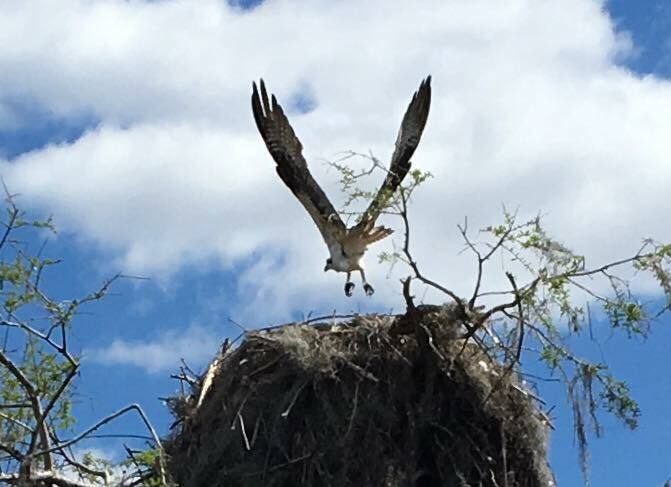 Blue Cypress Conservation Area is favored by nesting ospreys. We often see Osprey during our Airboat Wilderness Tours. Call (772) 589-3278 to book your Airboat adventure today.